Growers in the multimillion dollar, legal-marijuana industry say they donât have a clear understanding of which pesticides and fungicides are safe to use â for workers or consumers â on their crop. In Colorado and other states where recreational or medical pot is legal, a tremendous amount of money is riding these days on healthy cannabis crops. But unlike, say, a corn farmer, growers in the legal-marijuana industry don’t have a clear understanding yet of which pesticides and fungicides are safe to use — for workers or consumers. Though the Environmental Protection Agency regulates pesticide use on other crops, it has not tested any for use on marijuana because the plant remains illegal at the federal level. 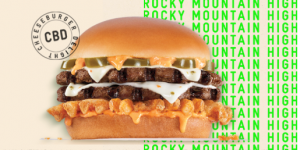 The result is a regulatory void in which, theoretically, anything goes, according to a joint investigation by Rocky Mountain PBS I-News and the Food & Environment Reporting Network. And, given what is known about the chemicals commonly used on marijuana plants, that means a potential public-health hazard for the people who smoke or consume legal marijuana, as well as those who work at the grow operations. “If we’re going to create a legitimate market, let’s protect those people who are going to be growing and harvesting and processing, just like we would for people who are growing and harvesting apples,” said Andy Baker-White, chair-elect of the American Public Health Association. Pesticides have long been a staple of black-market marijuana growers. Legal or otherwise, pests and mold remain a problem. 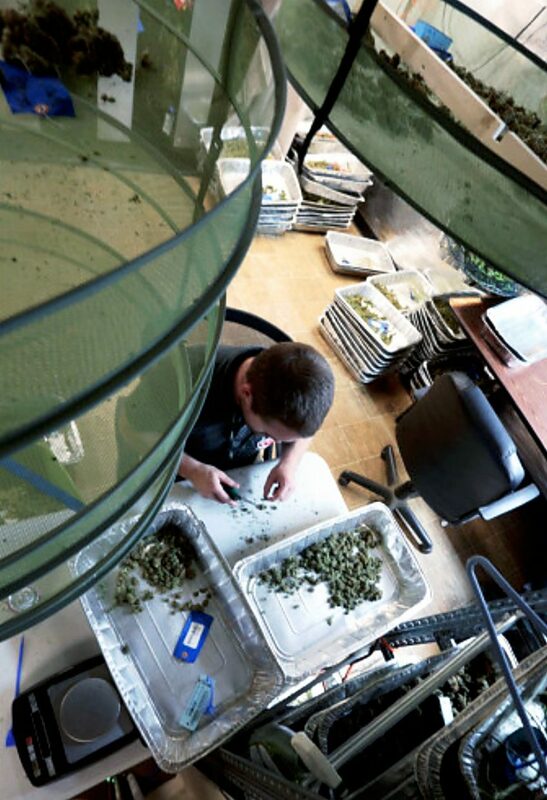 In Colorado alone, the marijuana industry employs 23,000 people as budtenders, managers or growers. One response from the industry has been to use Eagle 20EW, a pesticide that has the active ingredient called myclobutanil. Myclobutanil is known to be safe for human ingestion and is frequently used on food products like grapes, but it’s not approved for use on tobacco or on marijuana. “If it’s burned and generates hydrogen cyanide, that’s an entirely different problem,” Conrad said. Eagle 20EW was frequently cited as a chemical used on pot plants that Denver officials quarantined earlier this year. The issue, then, is what — and how — to spray. 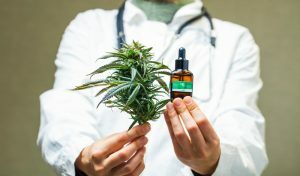 In July, the Colorado Department of Agriculture posted a 21-page list of pesticides on its website of those labels that might be safe to use on cannabis. “We have spent an exorbitant amount of time finding those products with a low enough toxicity to not pose a public-health threat,” said John Scott, the department’s pesticide program manager. But he added that more research is needed before anyone can guarantee that these products are safe or effective. Which leaves workers and consumers in a precarious position. According to a 2013 study published in the Journal of Toxicology, up to 69.5 percent of the pesticides on a marijuana bud can transfer into the smoker’s lungs. Colorado law requires pesticide testing for cannabis products, but, nearly two years into recreational legalization, the state has not begun testing. “The MED, along with the Department of Agriculture and other state departments, are working very hard on this issue to come up with a process that our licensees can be compliant with,” said Thomas Moore, a spokesman for the agency. State laws in Colorado also require cannabis cultivators to comply with the Federal Worker Protection Standard to protect employees from acute and chronic pesticide exposure, but the guidelines are complex, and enforcement has been slow to materialize. 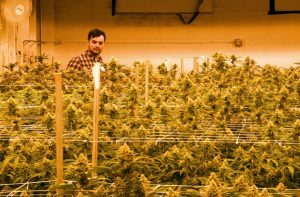 According to the Department of Agriculture’s John Scott, his agency has inspected nearly 100 of the 1,000-plus licensed grow facilities in operation. 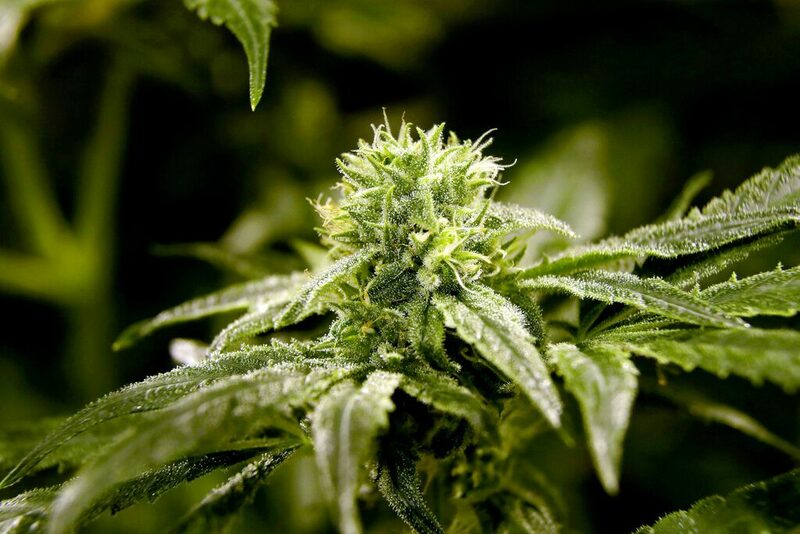 The Washington Liquor and Cannabis Board, meanwhile, has inspected 381 of the state’s 709 producers and processors, issuing six violations for pesticide misuse. For now, the primary way Colorado regulators learn of pesticide misuse is through regular building-code inspections by the Denver Fire Department. Last spring, citing safety concerns about improper pesticide use, the City of Denver quarantined tens of thousands of cannabis plants at 11 of the city’s grow facilities. 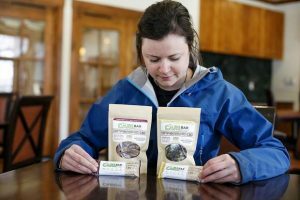 Then, in early September, a spot-check investigation and private testing by The Denver Post found illegal levels of pesticide residue were still present on products being sold to consumers, prompting a recall by state and city inspectors. “We initiated an investigation the very next day after that article came out,” Scott said, explaining how seriously the CDA takes allegations of pesticide misuse. The Denver Department of Environmental Health reports receiving several complaints from workers. “That’s one of the conversations that came up when all of this started: What is going on in these facilities? Are the people (who) are working there being put in harm’s way without even knowing what’s going on?” said Dan Rowland, a spokesman for the City and County of Denver. In mid-May, the EPA sent a letter to the Colorado agriculture department indicating that states could apply for EPA testing on certain chemicals used on cannabis. Jim Jones, the EPA’s assistant administrator for the Office of Chemical Safety and Pollution Prevention, said that though the crop remains an illegal Schedule 1 drug, his office is willing to conduct the necessary toxicology tests to determine safe usage of some pesticides on cannabis. He said states must submit applications for pesticides already regulated for both food and tobacco use. More than four months after the EPA sent its letter, no state has applied. This article was produced by Rocky Mountain PBS I-News in collaboration with the Food & Environment Reporting Network, an independent, nonprofit news organization producing investigative reporting on food, agriculture and environmental health.